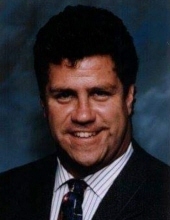 Brian D. Lynch, age 56 of Chicago; loving brother of Kevin and Barbara Lynch; devoted son of the late Rosemary and Bernard Lynch. Brian was also blessed with many, many wonderful friends and colleagues. He was a proud graduate of Brother Rice High School and St. Xavier University in Chicago, and a faithful member of Old St. Pat’s Church in Chicago. He had a zest for life and his friendly welcoming soul brought great joy to all whose lives he touched -- coworkers, fellow volunteers, and a myriad of friends. Brian devoted his career to promoting Catholic Higher Education. Brian lived life abundantly and generously. He loved Old St. Patrick's Church where he served in many volunteer capacities... loved experiencing all that City of Chicago has to offer... loved his Chicago White Sox... loved his life, family and friends. He will be greatly missed! Visitation 3 to 9 p.m. Friday March 29 at Drechsler, Brown & Williams Funeral Home, 203 S. Marion St., Oak Park. Visitation Saturday March 30 from 9 a.m. until time of Mass 10 a.m. at Old St. Patrick’s Church, 700 W. Adams St., Chicago. Interment private. In lieu of flowers, donations to: The Chicago Lighthouse (Chicagolighthouse.org/donate) or Old St. Patrick’s Church (oldstpats.org/) are appreciated. To send flowers or a remembrance gift to the family of Brian D. Lynch, please visit our Tribute Store. "Email Address" would like to share the life celebration of Brian D. Lynch. Click on the "link" to go to share a favorite memory or leave a condolence message for the family.